Group classes are a part of any regular Pilates practice but for people new to the work or those wishing to fine tune their practice, private and semi -private lessons are the way to go. We offer regular group Mat and Reformer classes. All levels are welcome to join us. 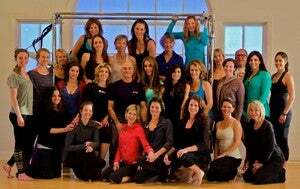 The Studio at Padaro Beach takes great pride in hosting the most distinguished teachers in Pilates to teach workshops geared towards Pilates teachers and enthusiasts. Pricing of our group mat classes. Pricing for private and semi-private Pilates training.